Our World from A to Z: Day One of "March Break"
Which, really, is like any other time around here, since the kids aren't in school yet. 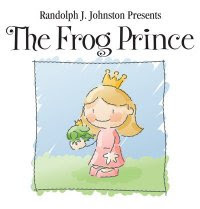 We took in the play "The Frog Prince". Jean-Paul knew 3 out of the 4 cast members. Two were in Once Upon a Mattress with him (Randy and Dan - the jester and the wizard) and one he knows from Sheridan (Chantelle - who is also on 4 Square on Treehouse - so Alex recognized her, too). Randy was also one of the three who performed our wedding pre-show entertainment. Alexandria and Zachary both enjoyed themselves, ergo, we did, too. Zachary is truly Jean-Paul's son since he "sat" through over an hour of theatre without fussing. There are many adults who can't/won't do that! Alexandria's favourite part was "Polly" the parrot (yes, a real one - Randy's pet, Virgil).